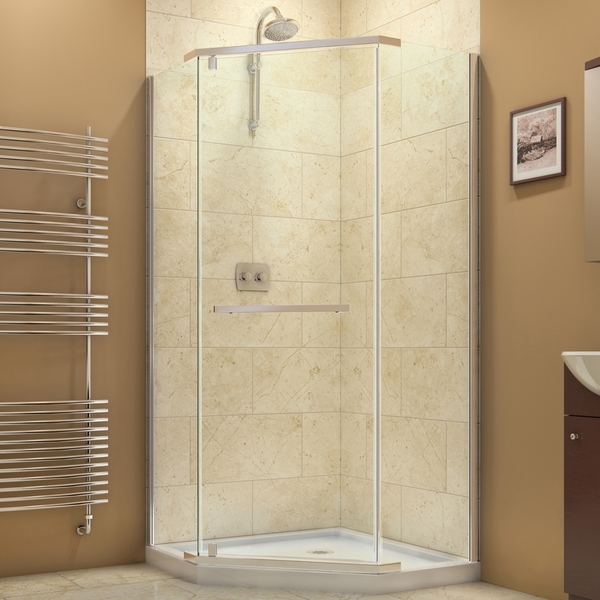 What a space saver the Prism 40 1/8" by 40 1/8" Frameless Pivot Shower Enclosure really is! 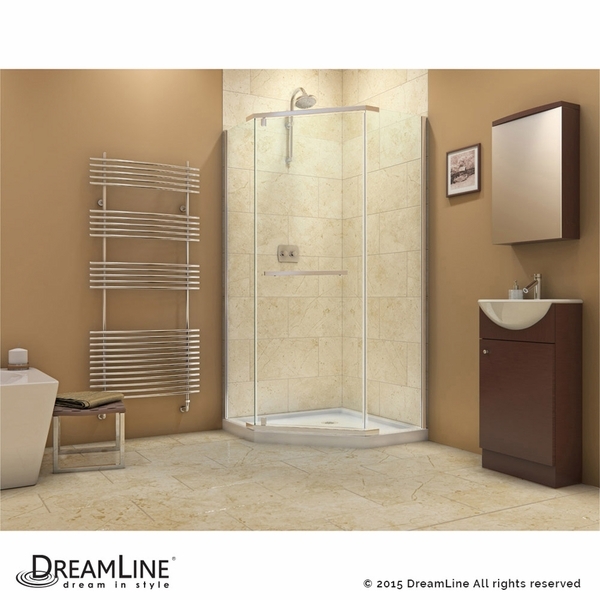 Combining luxury with affordability, this beautiful enclosure from DreamLine is a real show stopper. 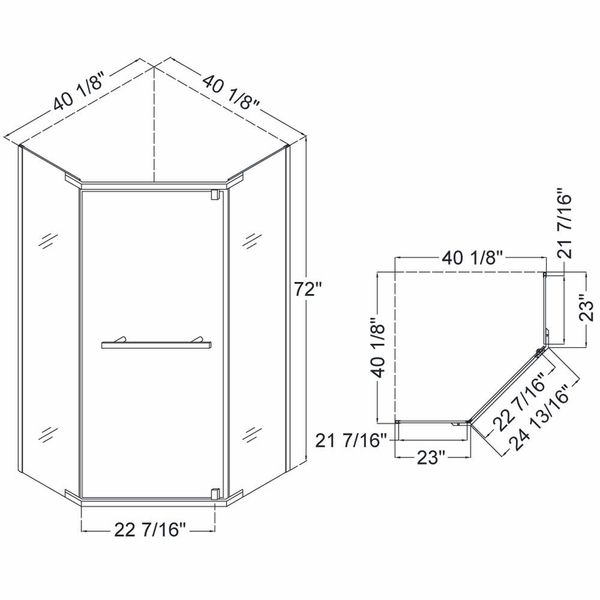 The Prism is 40 1/8 inches in depth, 40 1/8 inches in width, and 72 inches in height - spacious enough for even the largest individuals to shower in comfort. 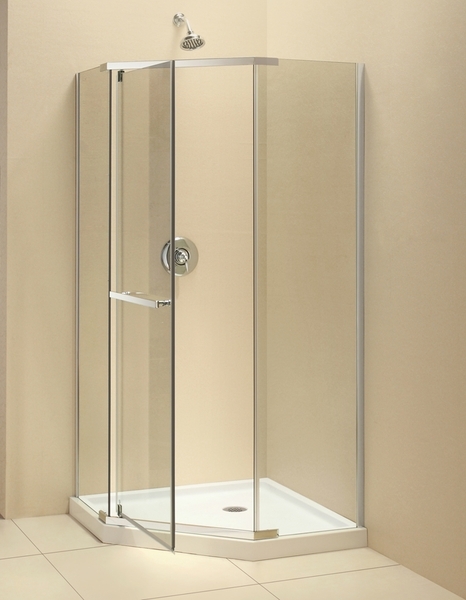 The Prism features two 23 inch stationary panels, and reversible door installation, as well as anodized aluminum wall profiles, and optional SlimLine shower base availability. 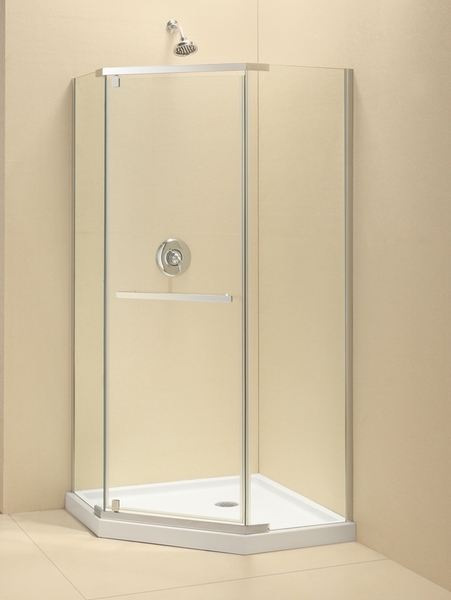 The frameless glass design of the Prism is both smooth and effortless, giving an open feel to any bathroom, regardless of its size.